The Pope, a Bullet, and Character Education | Where's My Eraser? 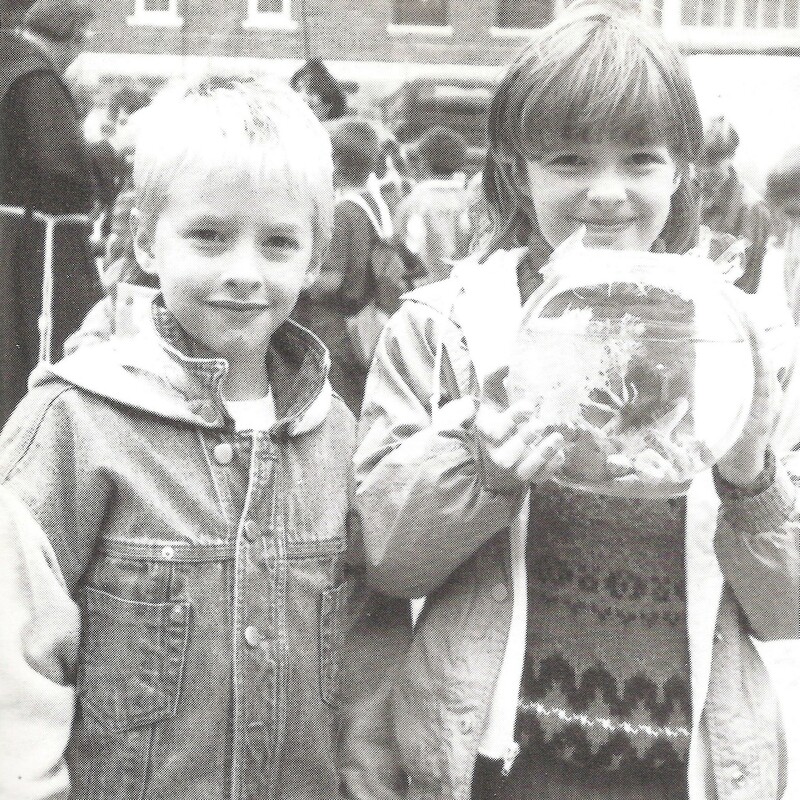 My brother and me at our school’s pet blessing in 1994. That fish was definitely holier than any of the public school kids’ fish were. 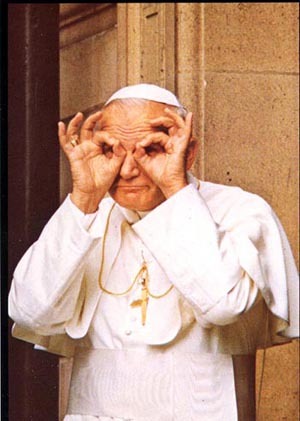 When I was a 2nd grader at a Catholic elementary school, Pope John Paul II was like a real-life Santa Claus. Everybody my age liked him so much, we didn’t even care that he was never going to pop down the chimney and leave us presents. Just like Santa Claus, he was always smiling, he wore the same iconic outfit all the time, and whenever he talked, everybody cheered. Many of my Catholic friends to this day refer to him as JP2. I don’t recall how this came up, but I distinctly remember my 2nd grade teacher talking about him one day. She told us that he had been shot some years before, which is why he had since ridden around in what had been adorably dubbed ‘the popemobile.’ The real kicker was that he forgave the man who shot him, who I later learned was Mehmet Ali Ağca, a young Turkish militant. And she said that if the pope could forgive the man who tried to kill him, we could certainly forgive each other for our playground transgressions. Reflecting on this story, I have to wonder how secular schools can possibly teach character education. Teachers in religious schools can hear a sermon about kindness and compassion on Sunday and relay that exact same message to their students on Monday. For public school teachers, things can’t be that simple. I was talking to my brother about this recently. He had the same teacher two years after I did and remembered her telling the same story. He’s an art teacher at a charter middle school now, and he’s just as unsure about how to teach character education as I am. The subject has gotten some attention lately from films like “Bully” and the passage of school district zero tolerance laws against bullying. That awareness is so important, but what about the more subtle aspects of character education? What about teaching students the importance of working with each other, respecting differences of opinion, and being an active member of a local community? What about forgiveness? The Golden Rule is an ideal taught in classrooms around the world and applies to so many situations, but is a catch-all potent enough to carry true meaning in every situation? Clearly, I have more questions than answers. Wisdom comes from many sources, both religious and secular alike. Imparting that wisdom on children can be a tall order, though. Educators face so many pressures to help their students improve academically, but rest assured those educators strive to mold their students into people of character. I would love to know more about the efforts of all types of educators toward that goal. Obviously, I’ve got some research to do. This entry was posted in Character Education, Education Policy, Elementary Education, Teaching and tagged #elemchat, bullying, catholicedchat, character ed, edchat, Education, John Paul II, school climate on April 24, 2014 by Chris Thelen.